I recently attended the Light Reading Big Communications Event (BCE) in Austin, which is focused on networking in the telecommunications industry. I had a series of discussions there that provided me with helpful insight into the state of network analytics and visibility for telecoms. Fundamentally, my take is that telecom and mobile operators are clear on both the need and the opportunity to apply big data for advanced operational analytics. But in terms of how they see themselves utilizing big data network analytics, many telecoms are still evolving from being vendor-solution driven to being data driven. It’s widely accepted that telecoms have made some questionable investments in big data over the past several years. Many of these deployments have been akin to science experiments. Every possible form of data was collected in massive Hadoop data lakes based on frameworks sold by software vendors who made most of their revenue through huge consulting fees. 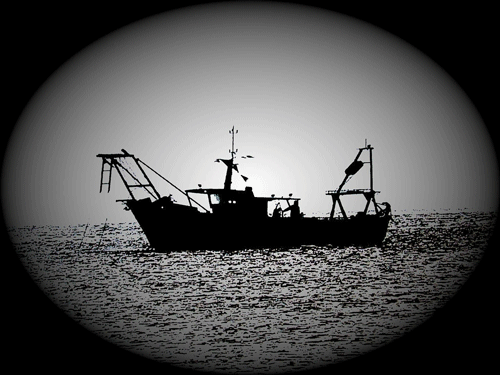 In many cases, telecoms were essentially paying these vendors to build trawlers, staff them, and send them out on these data lakes to fish for value. In many cases these projects never delivered a solid ROI, and after tens of millions of dollars the plug was pulled. What can be learned from these early experiments? While big data is an interesting technology in and of itself, big data network analytics only earns its keep when it’s driven by real-world use cases. Fortunately, big data network analytics is now a reality for use cases focused on network operations and planning. But there’s a complicating factor, which is that being data driven isn’t just a technology move, it’s also a cultural move. And there’s definitely a wide spectrum of cultural attitudes about analytics across different telecom organizations. This breadth of opinion was brought home to me by two somewhat contrasting discussions at BCE. The first took place around a panel I participated in on “Implementing Predictive Analytics.” I was struck by comments from Ray Watson, VP of Global Technology from Masergy, about the company’s approach. I knew that Masergy had leaned forward aggressively into virtualizing network functions and utilizing automation. Ray said that they take an iterative improvement approach to everything they do. Speaking with him after the panel, it was clear that they had made investments in operational big data network analytics. It was also clear that they saw network analytics as something that wasn’t just a solution delivered to them, but was something that supported organizational competence, leading to better and better outcomes as iterative learning is applied. How does the structure of a network analytics system affect its value for telecoms? The other discussion was an informal chat with a team from a different telecom company. As we were talking about the ways that big data platforms for network analytics can provide value, I could clearly see a divide in opinion. Some of the team saw the potential for big data network traffic intelligence as a platform. If they had access to the right data, they could use APIs to create iterations on analyses that could be incorporated into operational runbooks, anomaly detection policies, and automation. Others felt that it was up to the vendor to figure out how to make advanced analytics work for them out the box. 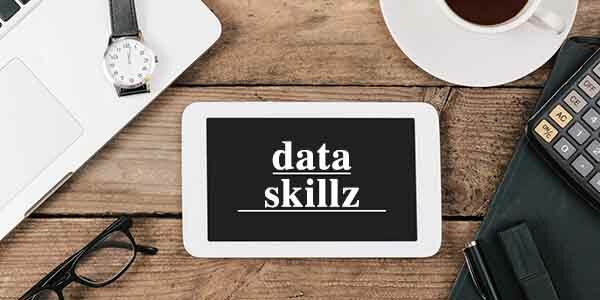 My take was that developing data-driven skills was a far better option. My reasoning was that those within the organization itself are far more likely to have deep technical and institutional familiarity with the network. Further, because vendors must create features with general appeal, it’s difficult for a commercial product to fully meet the needs of any particular business. And it can actually be quite difficult for vendors to evolve generalized features once they become widely adopted. Finally, in this era of agile digital business, driven by the cloud and APIs, why would you want to be captive to a small and static set of features that are identically available to all of your competitors? To achieve long-term competitive advantage, telecoms must instead develop the in-house “muscles” required to iterate optimizations in the short-term. You can’t do that when your environment is restricted to UI-only interactions. There’s a third discussion that’s also relevant here, which is one I had recently with a Gartner analyst who focuses on the telecom sector. One observation he made is that big data network analytics is a transformational platform. In his view, too many telecoms are focused on software-defined networking architectures without yet having developed the skills and culture to reliably leverage deep analytics for effective automation. To make decisions, you need a platform that can provide actionable data, which enables you to apply insights and learn from iterative observation. The analyst and I agree that without such a platform, and the skills developed from using it, telecoms won’t have sufficient perspective to make decisions on SDN architecture. That makes big data network analytics, based on real world use cases, a transformational opportunity for telecoms. Data-driven transformation depends on escaping the appliance box. Of course, to reap the rewards of that transformation, telecoms must be ready to break out of the box. By box, I mean the traditional appliance-bound ways of network monitoring. It’s deeply ironic for telecoms — who are aggressively trying to move applications and services toward big data and the cloud — to continue to settle for 90s-era appliances (whether hardware or virtual) in any major area of their operations. But old habits die hard, and so-called “industry leading” vendors are practiced at spreading FUD to keep customers wedded to outmoded solutions. What about your business? Are you ready to learn more about what a big data network traffic intelligence platform is, and what it can do for you? Check out our Kentik Detect product pages. You can also get some third-party perspectives on Kentik by visiting our Resources page, where you’ll find analyst reports from Forrester, Ovum, 451 Research, EMA, and IDC (check the “Analyst Report” filter box to find them more easily). Or, if you’re a Gartner research client, talk to your NPMD and Gartner for Technology Professionals analysts and ask them about Kentik. And if you’d like to see Kentik Detect in action, schedule a demo or sign up for a free trial.